Slingshot is happy to announce it has selected New Roots as the winner for its charitable Launch Initiative! 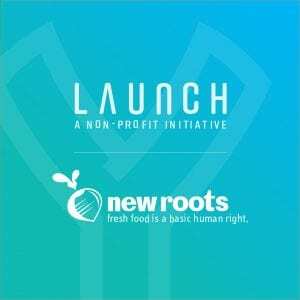 As the winning Louisville based non-profit organization, New Roots will receive the custom software design and development services of Slingshot to launch a brand new mobile application. New Roots was founded in 2010 with the mission to ignite community power for fresh food access. They do this through community leader-driven Fresh Stop Markets that pop up biweekly in 16 underinvested Kentucky neighborhoods. Shareholders of the service receive heavily discounted fresh produce along with education and sharing about how to best utilize the produce to live a healthy lifestyle. The mobile app will allow New Roots shareholders to order their fresh food shares through the app, be reminded of upcoming markets near them, and highlight how to use and benefit from the market fresh produce. Before building the app, Slingshot will first go through their unique design process, interviewing New Roots shareholders to better understand how they might use the app, and then designing and testing the app in prototype form, ensuring what gets built will have the best chance of sustained success. Next, Slingshot developers will write code and release the app to the Apple and Google app stores. The entire process from Design to App Store release is expected to take 3-4 months. A start date of the project has not yet been released. Throughout the initiative, Slingshot and New Roots will release videos and photos to share the progress of the app. Anyone interested can follow Slingshot on Instagram (@heySlingshot), Twitter (@heyslingshot) or Facebook (@YSlingshot). Launch is a non-profit initiative by Slingshot to donate our time and services to design and build a custom mobile application for one local non-profit organization. The donated services are valued at over $75,000. Learn more about Slingshot at www.yslingshot.com.